Fire Alarm has gone off! 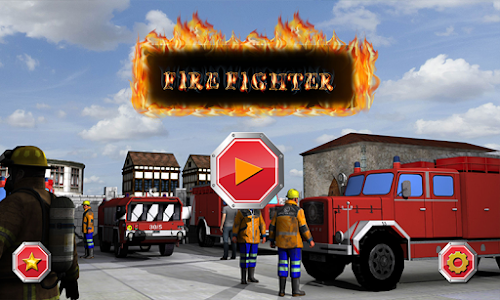 Throw your fire fighter suit on, grab the extinguisher and steer the wheel of your fire fighter truck in this crazy firefighting simulation game. 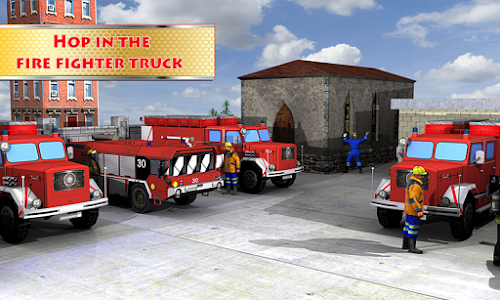 Fire fighters have joined you in your rescue fire truck & you are the duty driver in this mega fire truck. 911 rescue fire truck is always at the ready for city rescue. Even in busy city roads and highway, fire truck driver has to use crazy driving, parking and racing skills to beat the other cars, trucks, and vehicles to reach the destination. 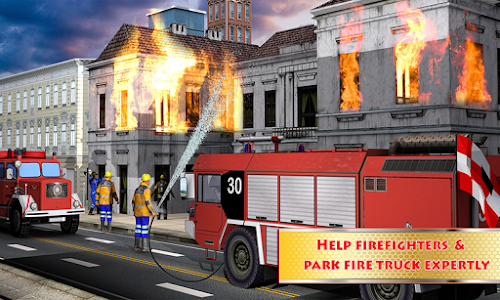 Use your crazy driving, racing and truck parking skills to park your fire engine and get on with your firefighting job. This is a city emergency and the fire brigade truck needs to speed past the traffic signals as if you are a flying firefighter truck. All the people depend on your racing and fire extinguishing skills. 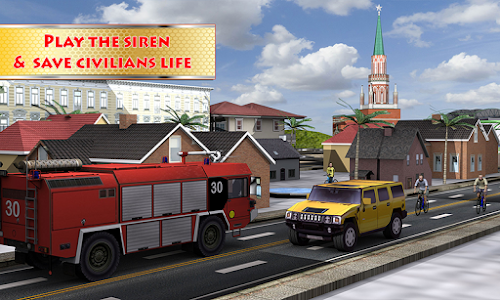 Keep the fire fighter truck alarm ringing to rush past the traffic on busy city roads and become the firefighting hero. Fire fighter truck simulator is an awesome chance to explore the highways, city roads, and for offroad driving on your 4x4 ultra fire fighter lorry. The civilians are stuck in the fire and waiting for their firefighting heroes to put out fires and save children. Make sure the hose is clean and working so that you can put the fire out on houses, buildings and offices. Complete all levels to save your beautiful city. As a fireman, this is your job to save citizens and buildings from dangerous fires, alert the civilians of the disaster by using the fire siren. Make sure to alert the fire department of your situation so they can arrange fire helicopters, fire brigades and other firemen as backup. 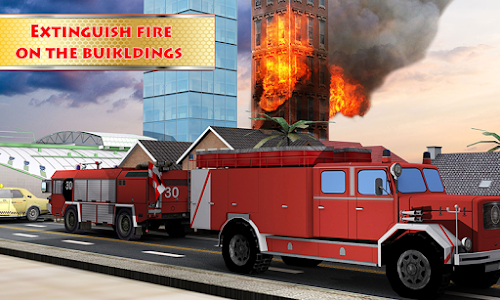 Download this awesome & exciting fire fighter truck simulation & save the day! 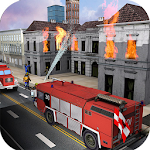 Similar to "Fire Fighter Truck Simulator"